In the late years of the 19th century, a new dynamism arose in the fields of decorative arts in Europe. Throughout the continent, a close connection between art and industry was forged and impacted daily life through the development of applied arts (glassware, ceramics, metalwork, stained-glass, cabinet making…). The new movement, called Art Nouveau (French for “New Art”), experienced an exceptional development in Paris, Brussels, Vienna, Glasgow and Nancy where it played a major role… Ready for a discovery of Art Nouveau in Nancy? In France, it is in Nancy that the Art Nouveau movement gained momentum after the loss of Alsace and the Lorraine département of Moselle (Metz) to the Prussians in 1871 at the Treaty of Frankfurt. From the 1870s, Nancy began attracting young, well-heeled and cultivated people who had fled the German annexation and its population doubled between 1870 and 1914. The economic development of Nancy was considerable and the group of Art Nouveau artists, known as “École de Nancy” (School of Nancy) made the capital of Lorraine a major centre of French decorative arts. The turn of the 20th century saw a period of unprecedented growth for the École de Nancy, under the decisive guidance of artists such as Émile Gallé. Glassware, furnishing, stained-glass and ceramic arts, all contributed to this movement of renovation. The rigid barriers between applied arts and fine arts (architecture, painting and sculpture) were broken down by local artists who wished to establish their mottoes: “Art in all” and “Art for all”, through the creation and diffusion of art objects in a great number of copies. Anyone could see the facade of new buildings decorated with vegetal motifs which soared up smoothly. Nature was alive everywhere, magnificent and colourful. For these creators, nature was a principal source of inspiration as it appears in each technique used. Nature was the answer to the artists’ search for new shapes, which also responded to people’s openness to modern ideas… while respecting the local traditions. Émile Gallé (1846-1904) played a significant role in the propagation of the Art Nouveau style from Nancy and became the leader and a reference amongst Nancy’s artists and young industrialists of the École de Nancy. The artist was directing his father’s crystal and ceramics factory when he started to work on innovative forms and decors inspired by the local flora and orientalist artwork. Gallé’s work on ceramics, glassware and furnishing techniques were a real success in Paris in 1884 and at the 1889 Paris International Exhibitions. Louis Majorelle (1859-1926) oversaw the furnishing manufactory of his late father and, like Gallé, became inspired by nature. He focused on the decoration and the structure of furniture and lamp designs. Autodidact artist Eugène Vallin (1856-1922), once an apprentice in his uncle’s workshop specialised in church furnishing, expressed the Art Nouveau concepts in a very personal style which plays heavily with curves and counter curves. Antonin Daum (1864-1930) was a successful glassmaker who implemented new manufacturing processes and the development of the “pâte de verre” technique. His aesthetic awareness made the Daum firm internationally renowned. As a Vice-President of the Ecole de Nancy from its foundation, he played a major role at the 1909 Nancy International Exhibition. Victor Prouvé (1856-1943) is alongside Gallé, a major leader of the movement. His eclecticism led him to a variety of expressions in the applied arts: bookbinding, engraving, sculpture, jewellery, illustration, marquetry. At the death of Gallé, Prouvé took over the leadership of the École de Nancy in 1904, at a time that coincided with a public loss of interest in Art Nouveau. The 1909 Nancy International Exhibition was the last major event for the local movement which disappeared along with the First World War. 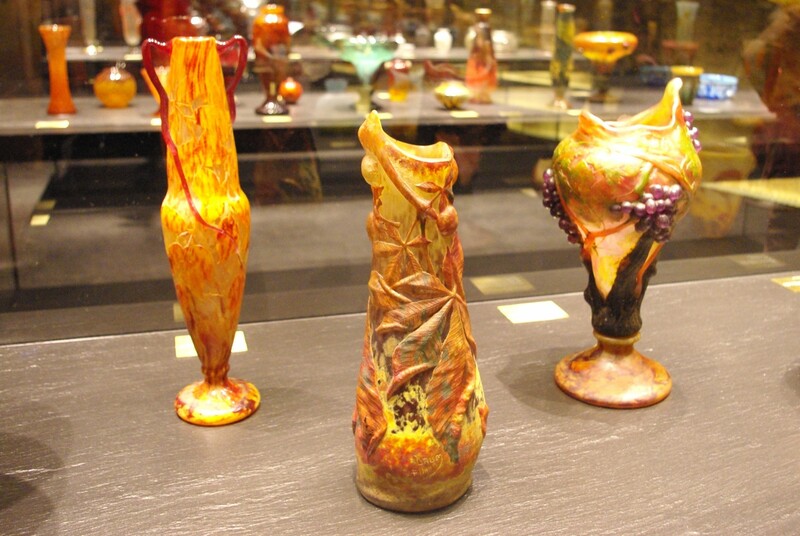 Jacques Gruber (1870-1936), a talented cabinetmaker, sculpture teacher and glass painter. 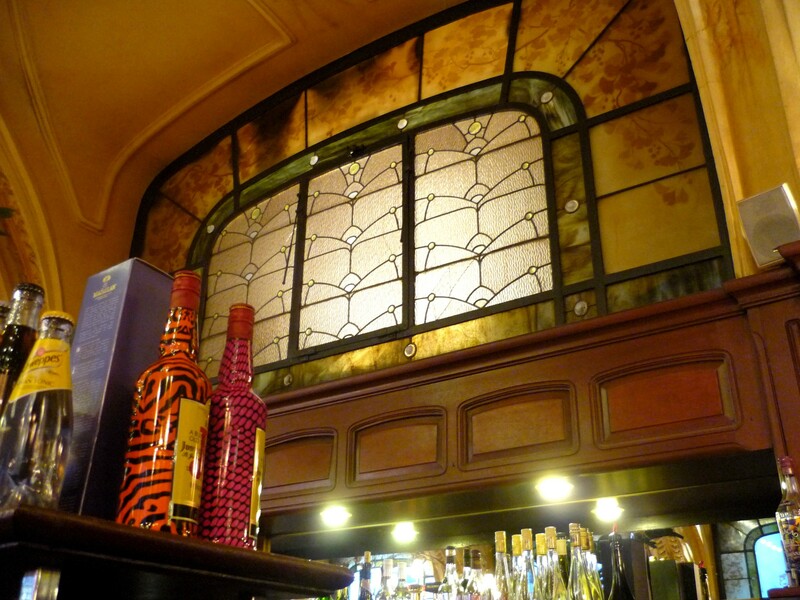 Playing either on transparency or on opacity, Gruber is a master of the Art Nouveau stained-glass. Lucien Weissenburger (1860-1929), the architect who has contributed the most to the architectural renewal of Nancy: the Brasserie Excelsior and the Magasins Réunis (today the FNAC). Eugène Corbin (1867-1952), an industrialist whose role was essential in the promotion of the group. His former home now houses the Museum of the École de Nancy. Located in one of the pavilions of Place Stanislas is Nancy’s reputed Fine Arts museum (musée des Beaux-Arts). In its basement, it presents an original scenographic presentation of the Daum crystal collection which enables visitors to explore 100 years of Nancy’s well-known glasswork manufacture. The art glass work production of the Daum brothers was largely inspired from flora, and today, 700 glass objects are on display to visitors and give a comprehensive overview of the ongoing and diverse research and creations. This collection has no equivalent in any museum in France or in the world. It recounts the history of the crystal manufacture from its beginning in the 1880s to the creations of the 1990s. One of the most remarkable facts of the Daum manufacture is its longevity linked to an ongoing reputation. It has succeeded in imposing itself over more than a century by systematically adapting to the taste of each period and by coping well with the constraints and obligations that are involved in the art industry. Alongside the creation of exceptional pieces of art, the improvement of the daily production’s quality and the development of tableware still account for one of the firm’s strong points today. 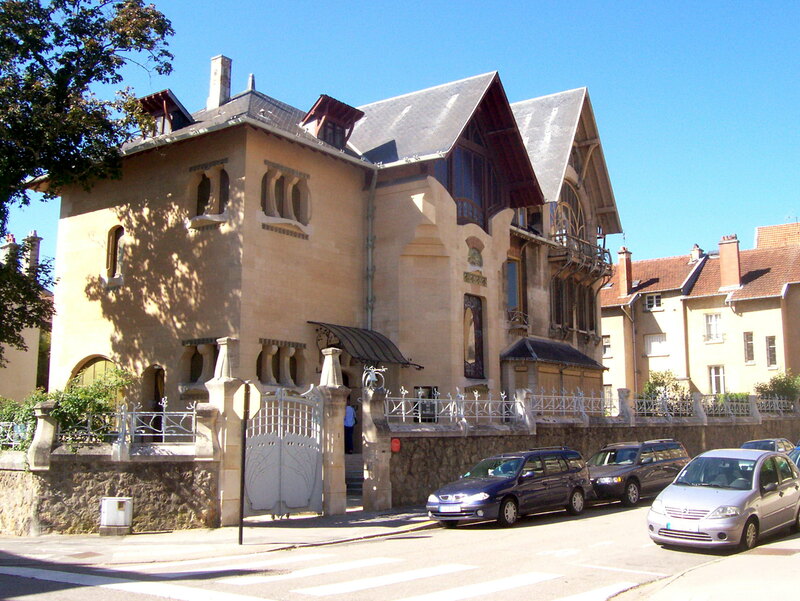 The museum of the École de Nancy is located in the villa of Eugène Corbin which was acquired by the municipality of Nancy in the 1950s. The house was built in an architectural setting in the same period of the works that it exhibits. The museum’s collections are famous and display the diversity of the creative techniques practiced by artists of this school (furniture, art objects, glassware, stained-glass, leather, ceramics, textiles…) hence restoring the atmosphere of the period. Most of the Masson dining room (salle à manger Masson) designed by Eugène Vallin, is now showcased in its original form. Other unique and prestigious pieces are displayed, such as Emile Gallé’s bed “Dawn and Dusk” (Aube et Crépuscule) and table “Rhine River” (Le Rhin), as well as Louis Majorelle’s Villa Majorelle bedroom and piano “Death of the Swan” (La mort du Cygne). An exceptional set of glassware designed by Emile Gallé exemplifies the outstanding technical skills and the naturalist influence of this artistic movement. 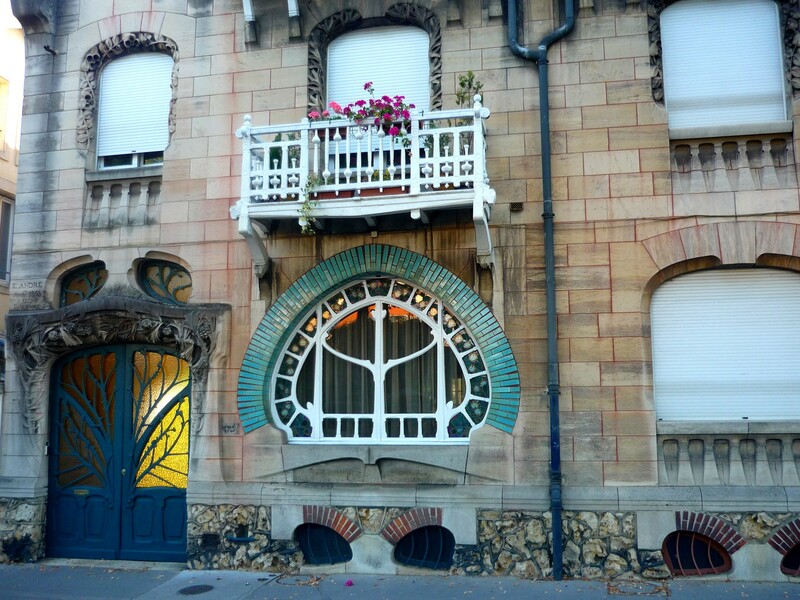 The Villa Majorelle, located close to the École de Nancy museum is an architectural masterpiece of the Art Nouveau movement. It was commissioned from Louis Majorelle by the young Parisian architect Henri Sauvage. 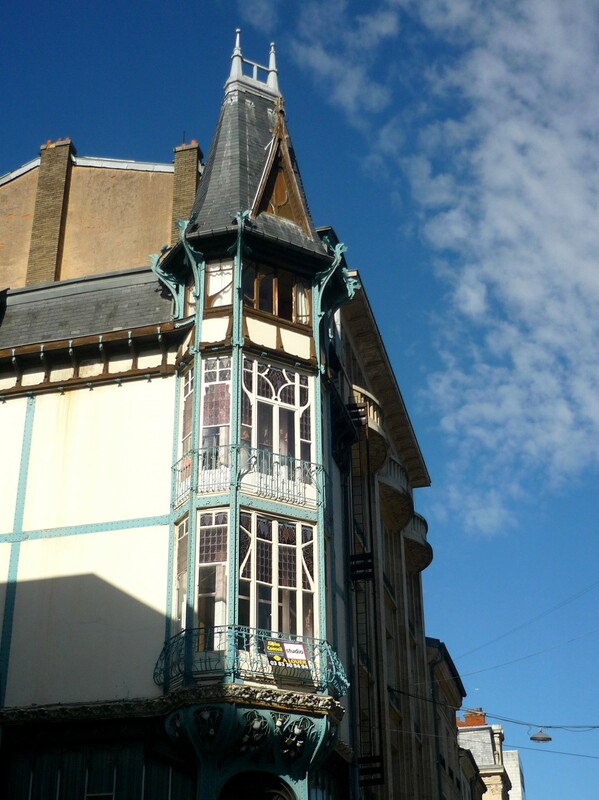 Built in 1901-1902, the building was amongst the first examples of Art Nouveau architecture to be designed in Nancy. Its wrought-iron work is by Louis Majorelle, the stained-glass from Jacques Gruber and the architectural decor in ceramics by Alexandre Bigot. 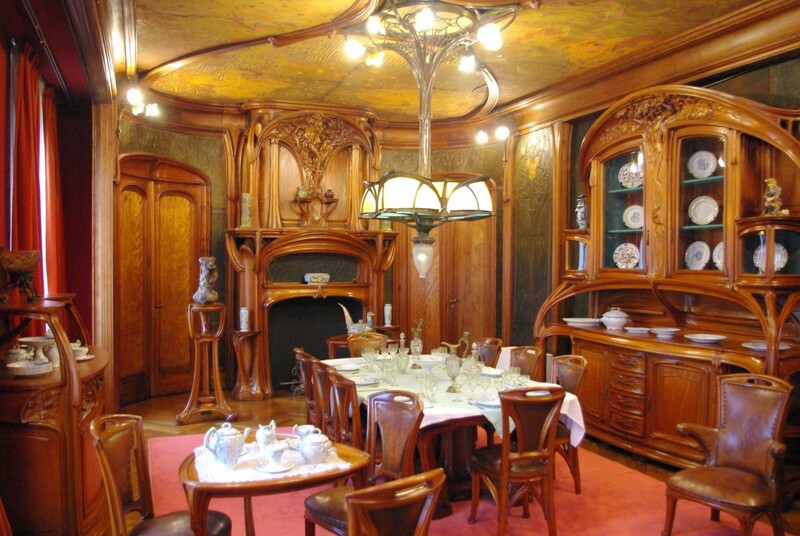 The Dining Room complete with its furnishings, designed by Louis Majorelle and owned by the École de Nancy museum, was brought back to its original design after renovations.